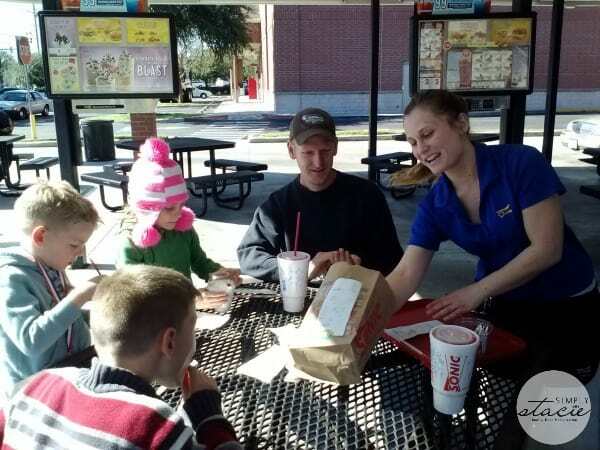 My family loves our visits to the SONIC Drive-In our hometown of Longwood, Florida…..it is such a nice treat and the food is always delicious. SONIC Drive-In is excited to have launched two new limited-time breakfast ideas including the Salsa Verde Breakfast Burrito and the Salsa Verde Breakfast Toaster® Sandwich. Therefore, we decided it was the perfect occasion for the entire family to head to our local SONIC Drive-In for a late breakfast after a day of off-road biking. Since we had been bicycling in the woods for over two hours we had worked up quite an appetite and SONIC really hit the spot. 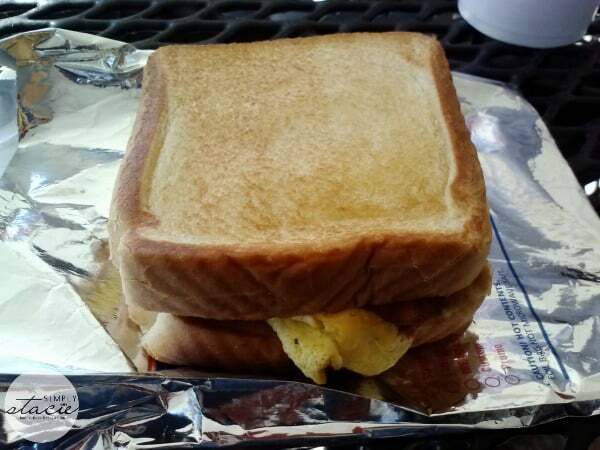 We ordered the Salsa Verde Breakfast Toaster which features lots of crispy bacon, a delicious and flavor packed Salsa Verde, eggs, freshly chopped onions and melted American cheese on thick slices of Texas Toast. I mistakenly assumed that this wouldn’t be a sandwich I would normally select due to my personal preferences but after just one bite, I was hooked. This sandwich was absolutely delicious and I loved the quality of the ingredients. I prefer whole, nutritious foods and this fit the bill for a satisfying meal. The bread was toasted perfectly without being greasy at all and the eggs were fluffy and cooked to perfection. It had just the right amount of cheese and the salsa verde sauce really elevated the flavor. What made this toaster sandwich so exceptional is the fresh Wholly™ Avocado from my favorite guacamole brand, Wholly Guacamole! My husband really enjoyed his Salsa Verde Breakfast Toaster too and thought it was great that we could order it for lunch (not just served for breakfast). This is definitely a sandwich that we would both order again. My eight year old son loved the Breakfast Burrito which was bursting with flavor from the Wholly™ Avocado, SONIC Drive-In’s signature potato Tots, Salsa Verde, eggs, American cheese and bacon. It has just the right amount of spice heat (not too much for his young palate) and was extremely flavorful. He loved the warm flour tortilla which makes this very easy to eat on the go and said that the SONIC Drive-In Salsa Verde Breakfast Burrito is “absolutely yummy”! 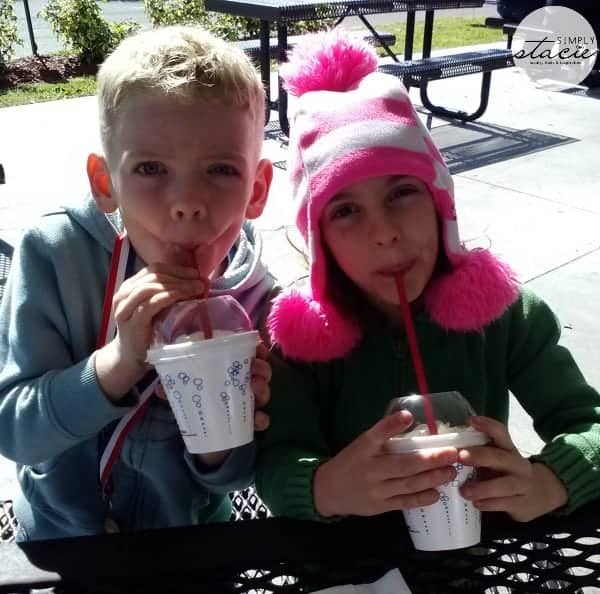 Of course lunch wouldn’t be complete without SONIC Drive-In’s signature shakes for the kids and a Molten Lava Banana Split that I shared with my husband. I am always pleased with the quality of the food, affordable prices and good customer service that we receive when we visit our friendly, neighborhood SONIC location. Are you ready to try the new Salsa Verde breakfast offerings at SONIC Drive-In…..hurry over because it is only available for a limited time! They have a chicken strip sandwich that is amazing. I love their breakfast burritos! I really like their footlong Coneys. I learned that I want to try a chili cheese pretzel dog. I love getting the cherry limeade. OMG they have 6 different peanut butter shakes and I would love to try them all even the peanut butter bacon one even though does sound a little strange. A Sonic just opened about two miles from where I live. Haven’t gone there yet — thanks for your review. I like burgers, so will try it out. I love their cherry limeades. I didn’t know they had a red velvet molten cake. I will be trying that. I like the Sonic Slushies especially the strawberry flavored one. I like Sonic’s All-American Hot Dog. I like the Chili Cheese Coney. Thanks for the giveaway…we love their “Chicago Dogs” ! I like their cherry limeade slushy. I learned about their specials. Love to try some of their food I haven’t tried!